Healthcare in the Middle East is booming. Spending continues to rise as the region strives to compete with developments in the West to bring world-class care to its residents. Government policy is designed to drive investment into the sector, which provides bountiful opportunities for players in the space, but it is creating an increasingly competitive and deeply cost-driven environment. In this context, businesses must be able to articulate their offer in a meaningful and compelling way to differentiate themselves and remain ahead. This applies in all areas, from healthcare providers to technology to pharmaceuticals. 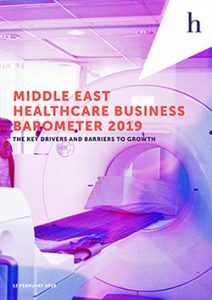 This report, based on research conducted by Hanover Communications at Arab Health, the region’s flagship healthcare event, examines how healthcare insiders view the industry’s future within the region, and what they see as the key drivers and barriers to growth – from policy to healthcare expenditure and consumer demand. Given that 2019 is designated as the Year of Tolerance in the UAE, it also seeks to examine the role of tolerance within healthcare, in a region where stigma is rife.